Microfiber towels change the way you clean your home and vehicles. The ultra-fine fibers offer many benefits no matter how you use the towels. These absorbent, fast-drying microfiber towels will get the job done! 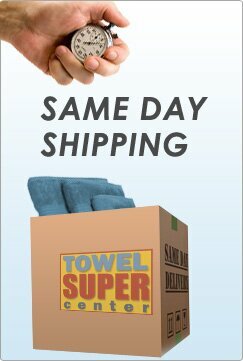 Shop our selection of wholesale microfiber towels today. What exactly is microfiber? If you look at a microfiber cloth, you may think it looks and feels similar to a cotton towel. However, there are some distinct differences. The name gives a hint as to what makes the material different. The fibers that make up the material are very thin. Microfiber varies in the thickness of the fibers based on how it’s manufactured, but it can be on average between 10 and 50 times thinner than a strand of human hair. Microfiber can have about 200,000 fibers covering every square inch. That thin fiber starts as a mix of polyester and polyamide, which is another name for nylon. Polyester is a strong, durable material that helps the microfiber hold up well. The polyamide portion of the fabric helps with the absorbency quality and makes the towels dry quickly. The exact ratios of those two materials can vary by manufacturer, but most microfiber cloths use both. After being woven together, the fibers are split apart to make them very fine. If you look at the fibers under a microscope, you would see they look a bit like stars. They end up even finer than strands of silk, and the fibers are much thinner than cotton. The exact thickness of the fibers varies widely by manufacturer. Fibers that measure 1.0 denier or smaller are considered microfiber, but some of the best microfiber materials have a 0.13 denier measurement. Some manufacturers also produce different products with varying measurements to handle different jobs. Because the fibers are so thin, there are many more of them than you find in cotton and other towels. The increased number of fibers provides greater surface area on the microfiber cloth, which increases its effectiveness in cleaning. Most people find that microfiber towels clean and dry better than other materials, especially paper towels. If we break down the specific features of these towels, we can pinpoint the reasons people often prefer them for cleaning. Absorbency: The structure of microfiber makes the towels very porous, which makes them highly absorbent. The fibers can absorb as much as seven to eight times their weight. You can wipe up spills or dry off surfaces you’re cleaning very quickly. Fast-drying: Another perk of the porous design is that microfiber towels dry quickly. If you use the towels frequently for various cleaning jobs, that fast drying time is a definite advantage the next time you need it. When the towel gets saturated, wring out the water well, and it gets relatively dry right away. Softness: Microfiber towels are soft to the touch. This softness makes them comfortable to use and safe for a variety of surfaces. Eco-friendly alternative: If you’re using paper towels or other disposable cleaning products, you’re generating a lot of trash. When you use microfiber cloths, you can reuse them every time you clean. They are relatively easy to clean as well, so they can get a lot of use. Dirt and bacteria cleaning: The fine fibers on microfiber provide more surface area, so dirt and even some bacteria cling to the fibers easily. Microfiber seems to have a dirt-attractive effect that picks up the dirt and makes it stick, so you don’t simply push it around the surface. You can effectively clean various surfaces with less effort than many other types of cleaning tools. Static charge: With so many ends in the split microfiber, the cloth naturally creates a static charge from them rubbing together. That static charge aids in picking up dirt and other debris, and the dirt stays there until the cloth is washed. Reduced cleaner: Because microfiber is so effective at picking up dirt, you can often wipe up surfaces without using cleaners or soap. This benefit means you can get away with fewer chemicals in your home. Small space cleaning: The fine fibers in microfiber can help you clean in small spaces. The little fibers reach into cracks and crevices that other cleaning tools might miss. The star shape of the strands also helps them reach into those tiny areas better. Longevity: Microfiber cloths can last through repeated washing. They often last through as many as 1,000 trips through the washing machine. With such longevity, you get your money’s worth out of these effective cleaning tools. In addition to being useful for around-the-house or office cleaning, microfiber towels are very popular for cleaning cars. The absorbency is one of the main things that make microfiber appealing when detailing a vehicle. Your microfiber towel can quickly wipe off the water from the car after you wash it to prevent spotting. 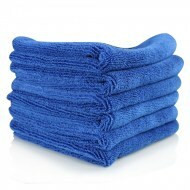 You can also use microfiber towels for the actual cleaning process in place of a sponge or other cloth. Start by making a bucket of warm, soapy water. Dip your microfiber towel into the soapy water. Starting on the top of the car, wash each section with the microfiber cloth. Working on one section at a time ensures you cover all of the surfaces, so the entire car looks shiny and new. When wiping the car, keep your hand flat on top of the microfiber towel. This gives you more contact with the surface, so you can clean better. Move in a circular motion. You should notice that the microfiber towel picks up the dirt and removes it from the car rather than moving it around from one section of the car to another. Dip your microfiber towel back into the soapy water regularly. This helps get rid of some of the dirt the towel traps as you clean the vehicle. Swish the cloth in the water to help loosen the dirt. Grab a fresh towel if your car is extra dirty, and the cloth is losing its effectiveness. Once your car is completely clean, rinse it well using fresh water from the hose or buckets. Continue rinsing until you’re sure no more soap remains on the car. Rinsing the soap away completely is the key to avoiding a streaky finish. It’s best to start at the top and work your way down, so the soap doesn’t splash back onto a section after you rinse it. Another key step in preventing spots and streaks is to dry your car by hand instead of letting it air dry. That’s where a fresh microfiber towel comes in handy. Grabbing a fresh, clean towel prevents any remaining soap from getting back on the car and causing streaks. Place the towel on the car with your hand flat. Starting at the top of the car, dry each section with the towel open and flat to maximize surface contact and speed up the drying process. Eventually, your microfiber towel will likely start to get saturated. It can hold up to 7 or 8 times its weight in liquid, but it does reach its max at some point. Stop occasionally to wring out as much water as possible. Because of its unique design, the microfiber will get surprisingly dry and is still very absorbent. If the towel starts to get dirty from leftover debris, give it a quick rinse in some fresh, clean water. Wring out the excess, and continue drying the vehicle. You may need to go over the vehicle a second time to remove any remaining moisture on the car’s surface. Car detailing is a popular use for microfiber towels, but there are many ways to use these handy cloths around your home or office. They work for most cleaning purposes in any setting. Drying spills: Its high absorbency makes microfiber an ideal material to keep around for spills. Keep the towels in the kitchen, work areas and other places where spills are likely. You can absorb the liquid quickly before it spreads or makes a bigger mess. Dry-dusting surfaces: Because the microfiber is statically charged, it does a great job of attracting dust on picture frames, shelves and other surfaces in your home. It traps that dust instead of just pushing it around or making it fall on other surfaces. If you have microfiber cloths, you won’t need cleaners for dusting. Wiping countertops in the kitchen: The effectiveness of microfiber makes it an ideal way to clean your countertops. You can wipe up many messes without even wetting the towel. If you do have a stubborn mess, dampen the microfiber slightly to clean. Since microfiber also traps some bacteria, using it to clean your kitchen can help eliminate germs to keep the countertops sanitary. Cleaning all bathroom surfaces: Another place that benefits from a good cleaning is the bathroom. Keep microfiber towels on hand that are used only for cleaning the bathroom surfaces. They’re also good for wiping up puddles of water after showers because they are so absorbent. Wiping areas that are frequently touched: Doorknobs, light switches and similar surfaces get a lot of touches each day. That adds up to a lot of dirt, germs and other debris. Clean them regularly with microfiber towels to help minimize spreading those contaminants. Cleaning windows without streaks: The fast-absorbing nature of microfiber makes it ideal for cleaning your windows without streaks. You may be able to polish the windows clean without any cleaner. Wiping appliances: Remove dirt, dust and other debris from your appliances with microfiber. Cleaning floors: If you don’t mind getting down on your hands and knees, you can wipe up your floors using the microfiber towels. Dampen the towel slightly to help remove dirt marks. Any cleaning jobs when you would normally use paper towels or other cloths: Microfiber is suitable for basically any cleaning job you have around your home or office. You can use microfiber towels for any cleaning job, but they do need some care. When you take care of your microfiber towels, they hold up better and last longer, so you maximize your investment. Wash them regularly: Regular washing keeps your microfiber towels fresh and ready for the next cleaning job. Minimize moisture: If you wet the towel to wipe off a smudge, just use a small amount of water. Because the microfiber is so porous, it doesn’t take much water to make it an effective cleaning tool. Oversaturating the towel can make it less effective and cause the towel to push dirt around instead of picking it up. Color code: If you use microfiber towels for different jobs, buy several different colors to prevent cross-contamination. Use one color of microfiber towels for cars, one color for bathrooms and another color for kitchens. You can easily tell where each towel goes to prevent spreading germs or bacteria to different areas of the home. Avoid harsh chemicals: While microfiber can withstand use with many chemicals, it’s best to avoid anything harsh, such as chemicals with acid. Microfiber is basically made of plastic, so don’t use anything that can harm plastic. Microfiber cloths are very effective at cleaning up dirt without any cleaner, so you may not need anything at all. Regularly cleaning your microfiber towels is essential in maintaining them. They’re effective at picking up dirt and germs, so you’ll want to wash them frequently to get rid of those contaminants. Laundering keeps the towels looking great while making them more hygienic. When you launder your microfiber towels, wash them alone. The lint from other clothes and different types of towels can cling to the microfiber if you wash them together. Even tiny bits of cotton lint can get stuck in the tiny fibers of your towels and make them ineffective. Wash the microfiber towels in warm water. Avoid hot water. Use a small amount of a gentle liquid detergent, not a powdered detergent. Avoid fabric softener and bleach. Both can reduce the effectiveness of the towels and shorten their lifespan. Dry the microfiber towels on a low heat setting without dryer sheets. Tiny particles from dryer sheets can get stuck in the fibers of the cloth, which can render it ineffective. Any type of fabric softener, including dryer sheets, may also affect the natural static charge of the fabric, which reduces its effectiveness in picking up dirt. Microfiber towels often take only a few minutes to dry. Check the dryness of the towels periodically to avoid keeping them in the dryer any longer than necessary. 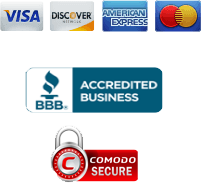 Investing in microfiber towels for your car cleaning and other cleaning activities provides you with a long-lasting, highly absorbent, highly effective tool in removing water, dirt and other debris. Check out our full selection of microfiber towels to make your cleaning routine easier. 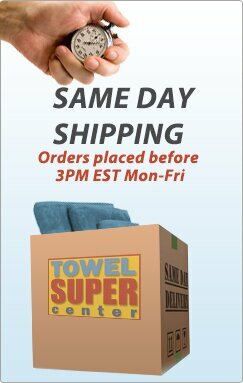 We offer various sizes and different colors, so you can easily find the towels you need for your various jobs.